If you own a business with employees, sooner or later you will likely decide that one of your employees needs to be terminated. Whether you plan to fire someone for theft of items on a construction site, because they can’t handle the requirements of the job, or because they simply aren’t a good fit for the company, terminations are inevitable. State and federal laws dictate the proper procedures for terminating an employee. Failing to follow the proper procedures when firing or laying off an employee may cost you time, resources, and potentially even a lawsuit. As a Miami business law attorney, below are some of the pitfalls I work with my clients to avoid. Often people believe that if their employees are “at will,” they can be fired at any time for any reason. While this is generally accurate, there are situations where “at will” status does not protect the business owner. For example, firing an at will employee after they file a complaint with the United States Equal Employment Opportunity Commission may result in a lawsuit based on a retaliatory termination. It is always good practice to document an employee’s performance. One way to do this is through performance reviews. Proper documentation of an employee’s failure to perform duties, acts of insubordination, warnings and so forth can help protect a business owner against a retaliatory termination lawsuit or against a claim for unemployment benefits. This will help you demonstrate that the termination was performance based rather than based on retaliation, discrimination, or a simple lay off for economic reasons. Collective bargaining agreements often contain detailed steps of graduated discipline before employees can be fired. An employee who feels he or she has been improperly terminated may seek counsel who will look to your conduct to determine whether you and your company have complied with any collective bargaining agreements. You should decide whether you will offer the employee a severance package and whether it will be contingent on certain specified conduct. For example, a contract employee may have 30 days to leave the position but for security purposes, you want the employee to leave immediately. A severance package is often an inducement to accomplish this without a breach of contract. It is important to consult a business attorney to review any employment contract prior to terminating any employee. While firing an employee is rarely an easy task, avoiding the situation or ignoring proper procedure is never a good approach. Having a Miami business law attorney assist you in making the difficult decisions can make the process easier. Looking for a Business Law Attorney? Your business may not be large enough (yet) to employ general counsel full time. However, there are some business decisions that are just too important to make without the legal advice of a qualified Miami business law attorney. 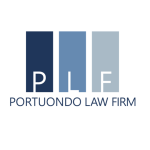 Contact the Portuondo Law Firm, P.A. Let’s talk about what we can do for you.